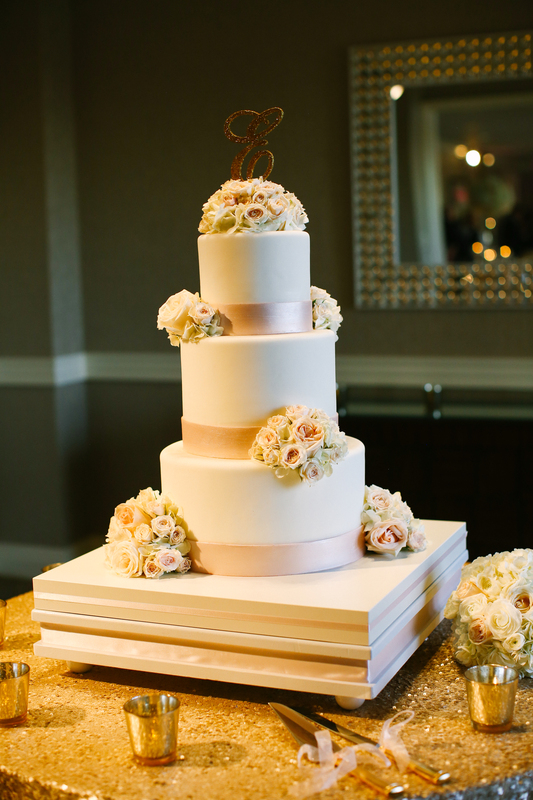 Brandy and Joey’s wedding was a beautiful and elegant affair. 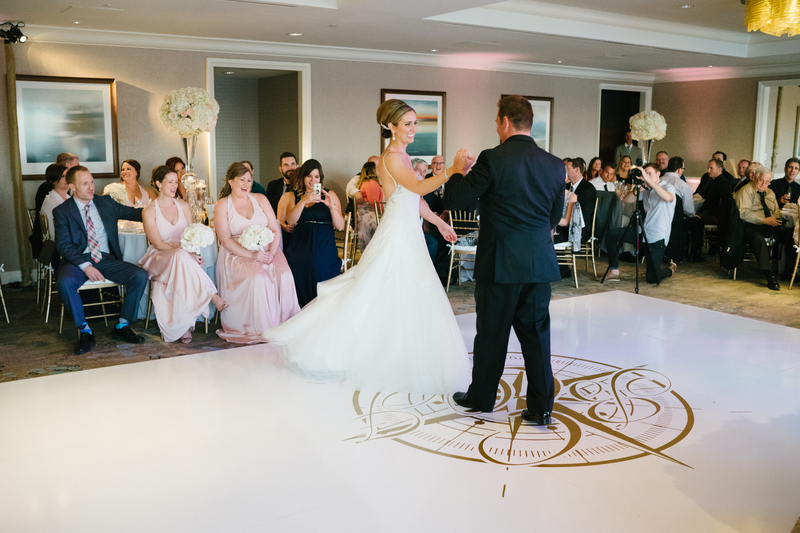 Their gorgeous color palette of whites and soft pinks with hints of gold perfectly complemented the scenic ocean views of the Balboa Bay Resort. Brandy looked so regal and beautiful as she walked down the aisle to her future husband. 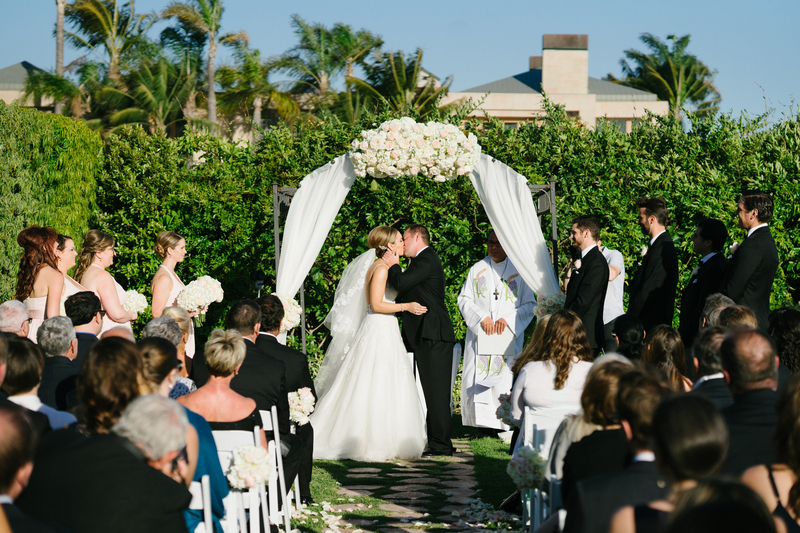 The couple exchanged vows in the green courtyard next to the ocean with yachts off in the distance. After the heartfelt ceremony and cocktail hour guest were escorted to the ballroom for the reception. 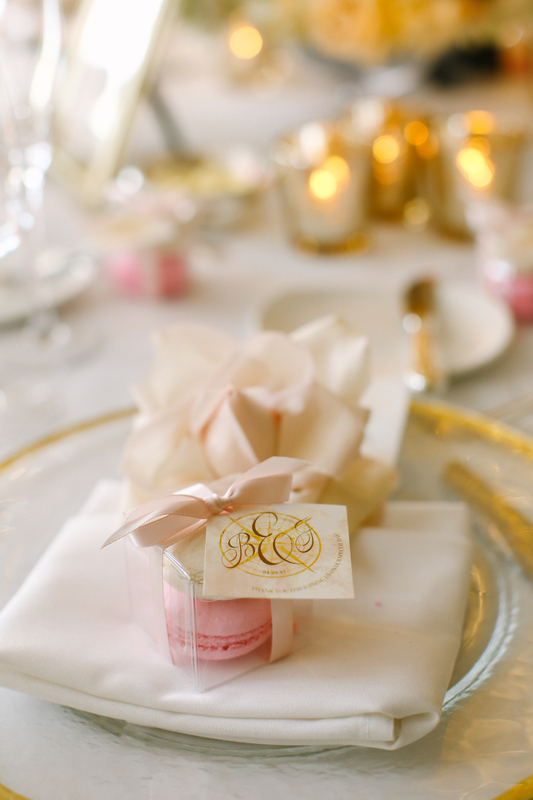 From the macaroon favors to the monogram dance floor, all the details of Brandy and Joey’s wedding were seamlessly put together with much thought and care. 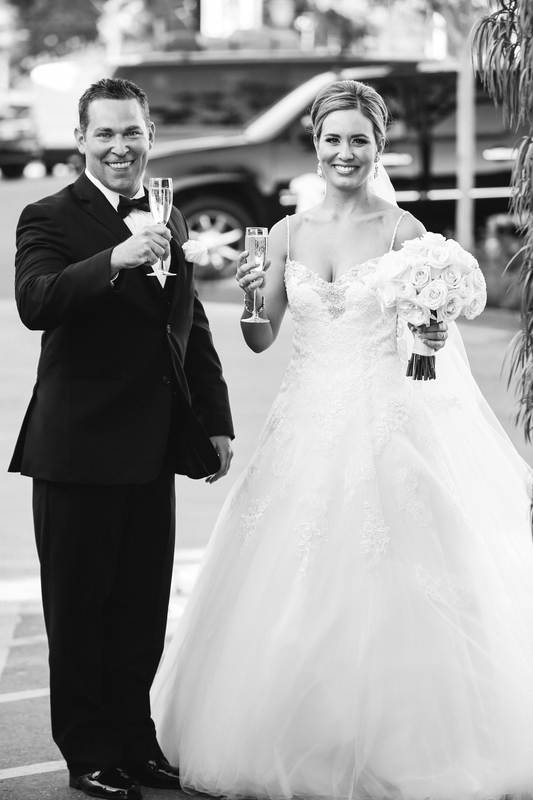 Their wedding was a night of regal elegance with perfect planning down to every last detail. 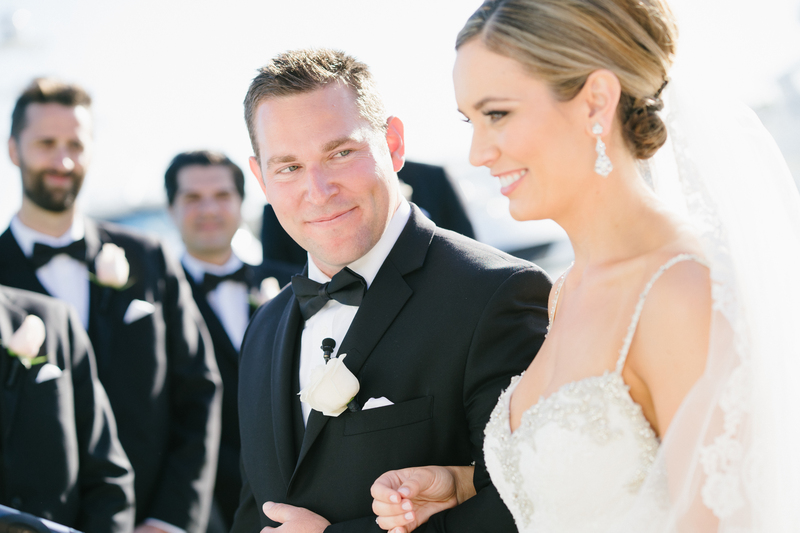 This gorgeous and sweet couple were such a delight to work with. Take a look all the amazing details of this spectacular evening. 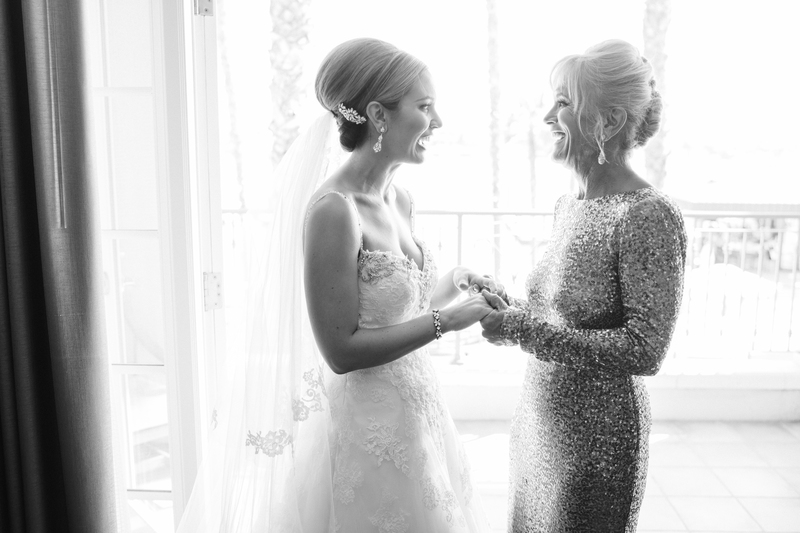 Sweet and intimate moments before a wedding are always so special. Brandy and her mother so gorgeous! 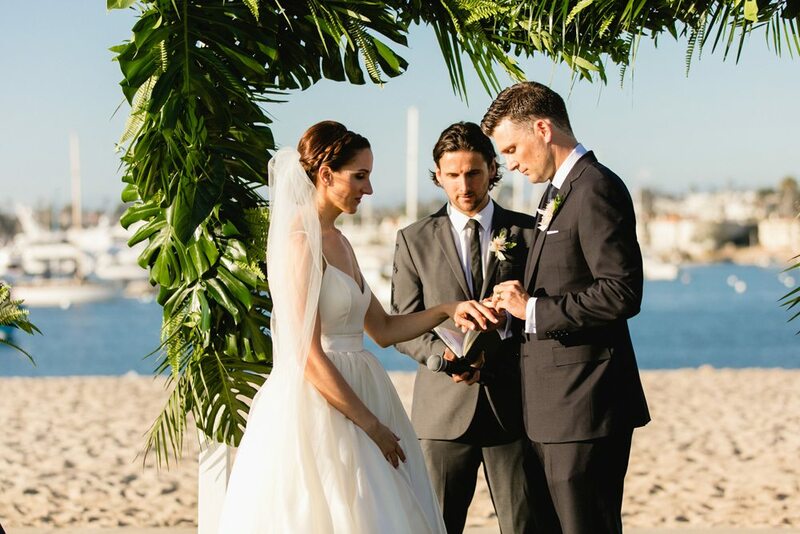 Brandy and Joey’s ceremony was so beautiful and heartfelt. 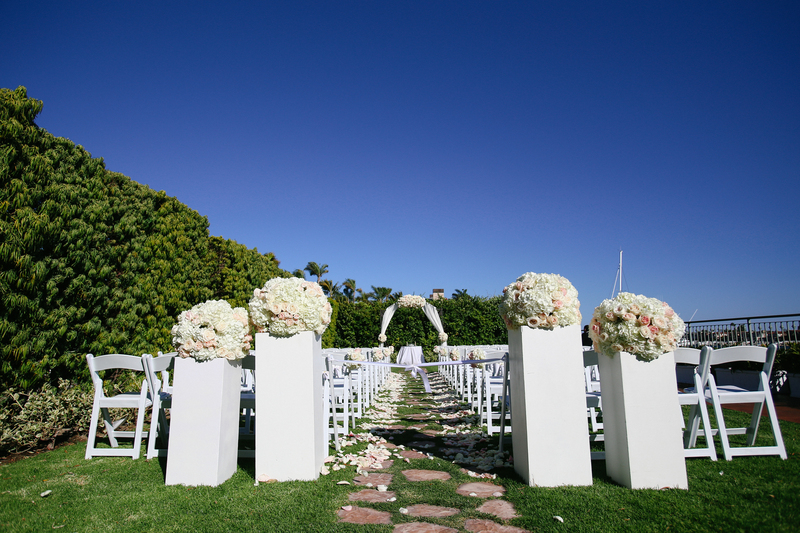 They said their “I do’s” under a gorgeous arch with white and pink florals. 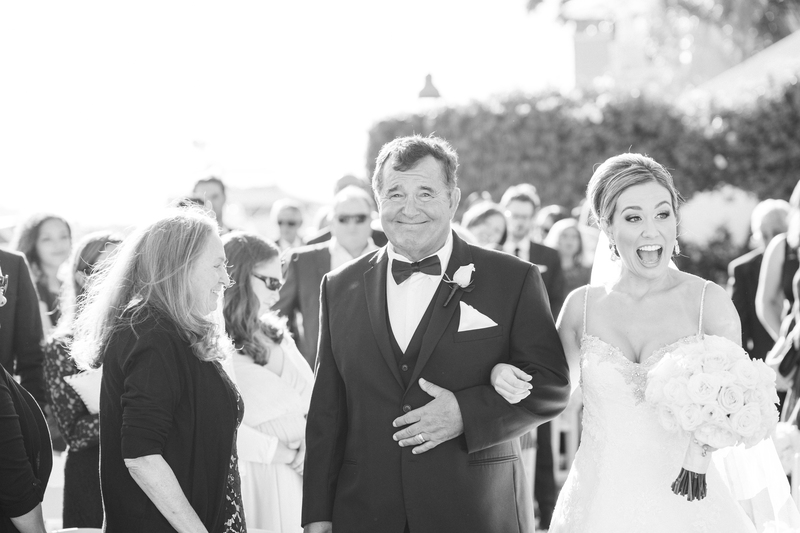 Their ceremony was filled with so much love and joy, it was one we will never forget. This great looking group of people was so supported of Brandy and Joey on their special day. 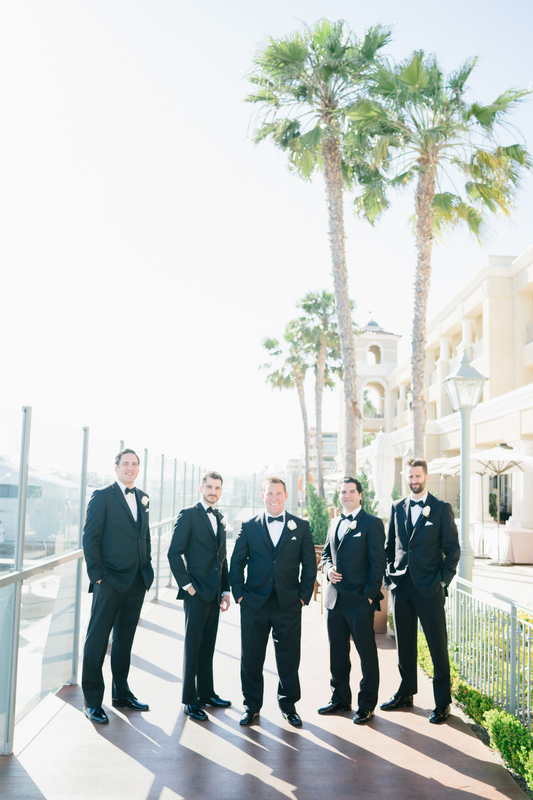 The bridesmaids were dressed in flowy pink dresses and the groomsmen wore sleck black tuxes. 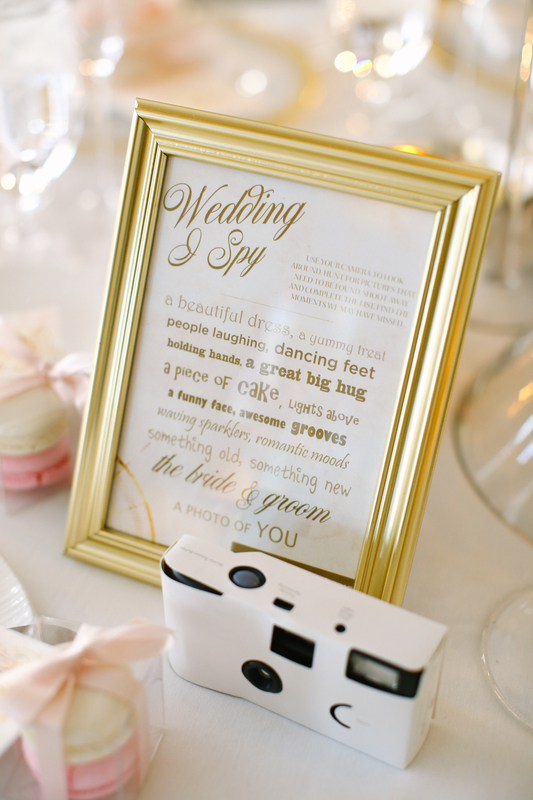 The reception was filled so many perfectly planned details. 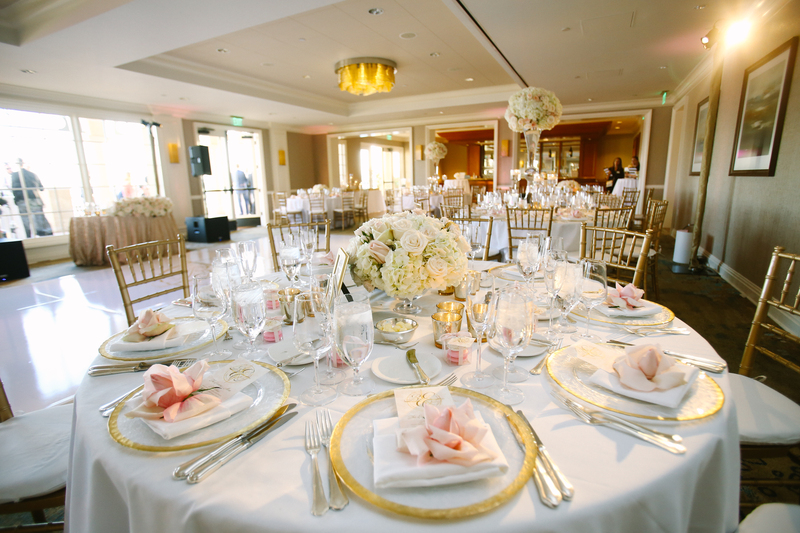 Just look at the gorgeous photos of all their elegant reception. Brandy and Joey’s wedding was an unforgettable night. Their day was filled with so much love. It was such a treat to coordinate their special day. Congratulations to the beautiful and sweet couple! 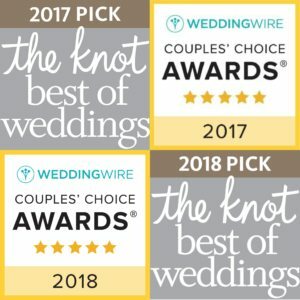 Wedding Budgets Reach New High! 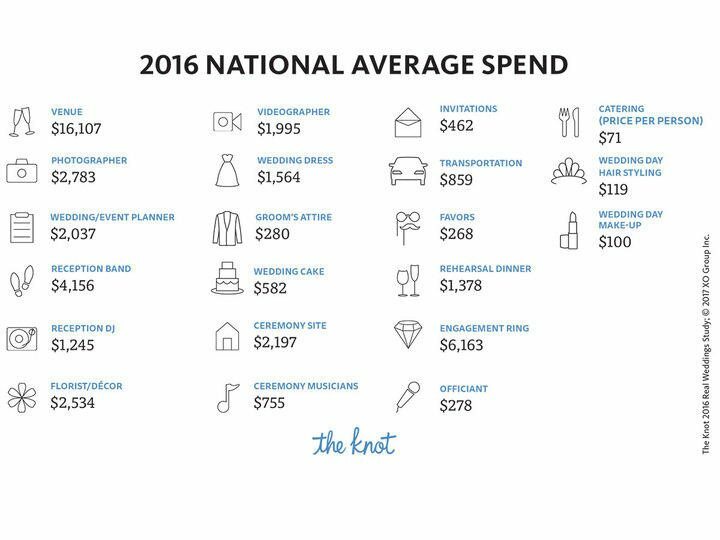 This month, The Knot released the results of its 2016 Real Wedding Study showing the National average cost of Weddings reaching $35,329. 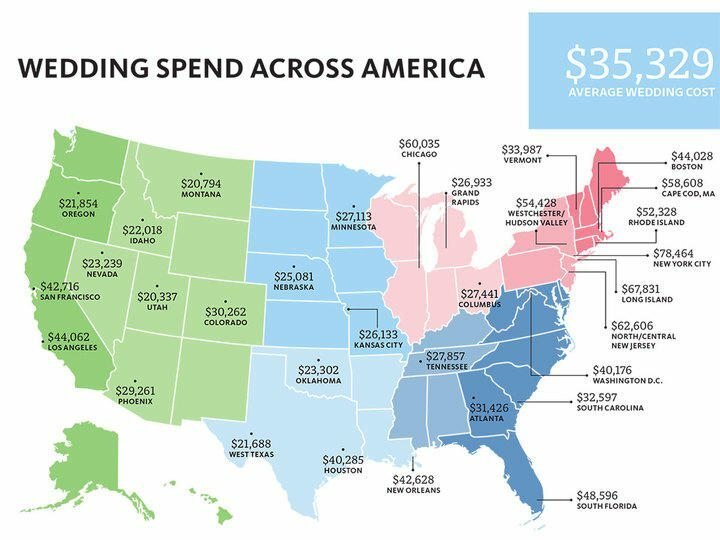 Keep in mind this is just an average as the graphic below shows; you will end up spending more of less depending on where you live in the United States. 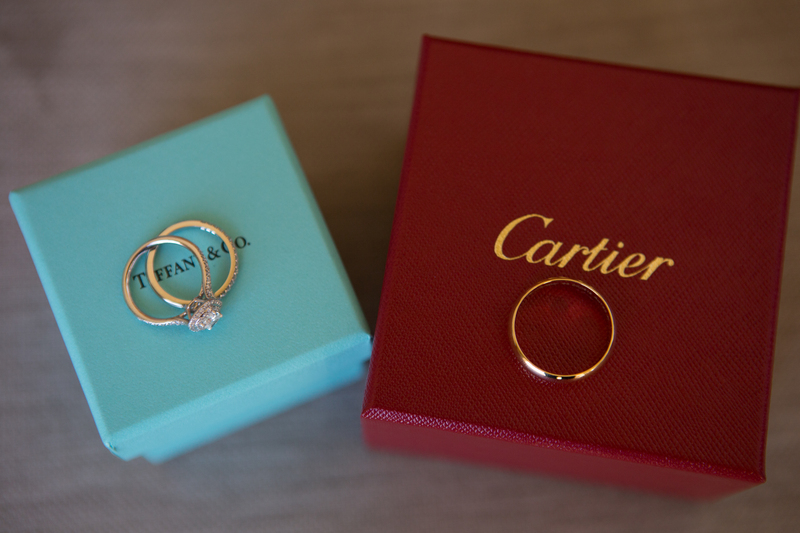 Tying the knot in Manhattan can cost you upwards of $78,000 while marrying in Arkansas can cost you below $20,000. Our Southern California market average is $44,000. Interestingly enough, this bigger budget trend does not show us a greater guest count. On the contrary, Brides and Grooms are cutting their guest lists and spending more per guest to give them the ultimate experience. 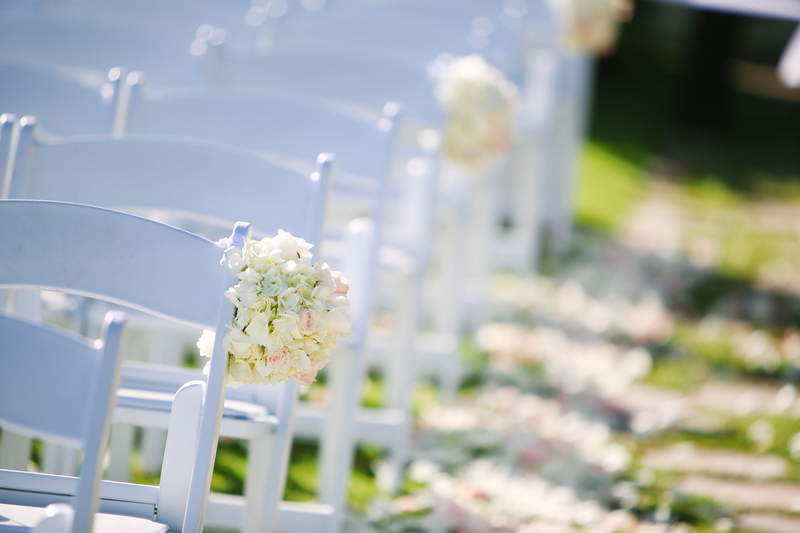 Couples are putting their own personal stamp on every detail of their wedding and have a goal of entertaining their guests with food trucks, photo booths, fireworks, lawn games and non-traditional entertainment. 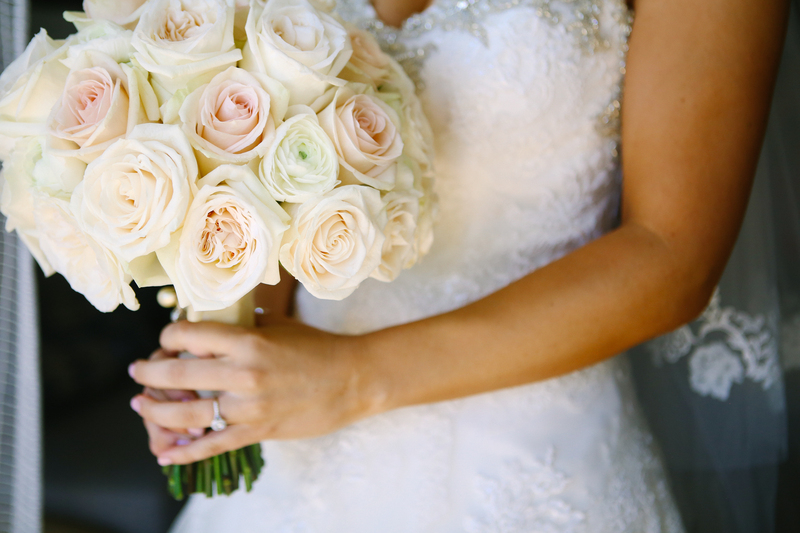 Finally, check out these Top 2016 Wedding Statistics to see how they apply to you and your Groom. Hello Lovely! So great to see you here! While I have been blogging since 2005, it was always something I struggled keeping up with. Based on my new website, it was advised that my blog become part of my website rather than hosted on Blogspot. SO, here I am, with a fresh start. 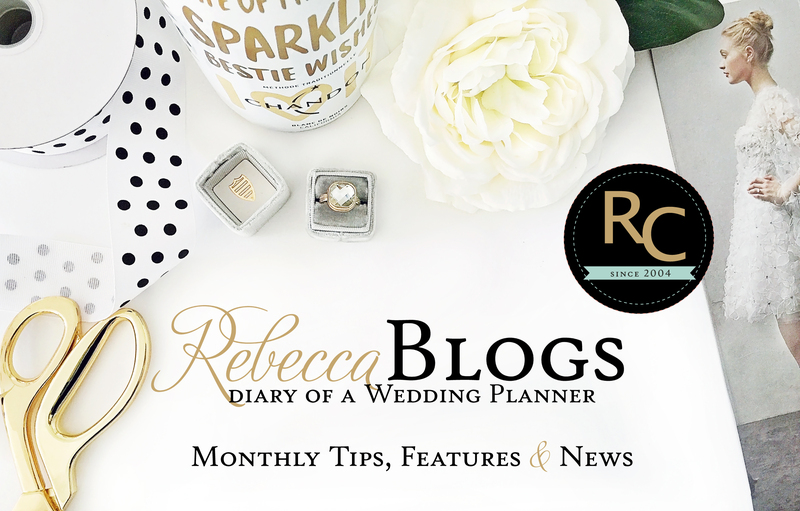 I envision this blog to be a place where you can come to see behind the scenes , tutorials/tips, wedding features and lots of inspiration for those of you that are Wedding Planning! Please follow along and check back often.